The office of the City Clerk is as old as the Corporation of the City of Calgary itself; the Town Clerk of Calgary was the first civic official appointed at the first meeting of the Calgary Town Council on 1884 December 4. As prescribed by territorial and provincial legislation, the duties of the Town Clerk in 1884 -- serving as secretary to City Council, keeping the corporate records and the corporate seal, and conducting civic elections -- remain the central functions of his present-day counterpart. However, there have been significant changes in the organization of the department, the nature of auxiliary duties assigned to the City Clerk, and the policies and procedures used to carry out the department's functions. From 1884 to 1905, the Town Clerk, (1884-1894) and City Clerk (after 1894) was the central administrative officer in the municipal government. As prescribed by legislation, the Town Clerk was required to record the minutes of Council: keep all books, records, accounts, and by-laws of City Council; complete and maintain a Collections and Assessment Roll of property owners subject to municipal taxation; compile a list of names from the assessment roll of persons eligible to vote according to proprietary status; and furnish the territorial government with census material and the manse of elected officials (Ordinances of the Northwest Territories 1884, No.4 ss.52-59). An 1891 procedures by-law added to these prescribed duties the responsibility for providing civic officials, committees, and boards with copies of City Council resolutions and orders which related to the business of their jurisdictions within a day of the last meeting of City Council (By-law 157, s.75). In addition, the duties of the Town or City Clerk were also combined at different times with those of Collector, Assessor, Treasurer, and even Solicitor. 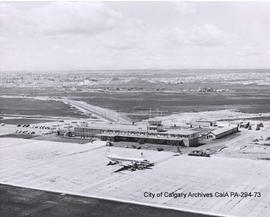 For more information regarding the City of Calgary, City Clerk's Department administrative history, please link to the City of Calgary Archives homepage and click on the "fonds level descriptions" link. The fonds consists of Council minutes, by-laws, agreements, drawings, plans, correspondence, and some artifacts. The records have been arranged into 3 series which are described in the printed inventory. For more information regarding the City of Calgary, City Clerk's Department scope/content information, please link to the City of Calgary Archives homepage and click on the "fonds level descriptions" link. Records were transferred either directly from the City of Calgary, City Clerk's Department or from the Civic Records Centre in several separate transfers. In accordance with The City of Calgary's policy on Access to Municipal Information, records more than twenty-five years old are available for public use unless otherwise restricted. Records which are less than twenty-five years old are available for public use unless otherwise restricted by legislation. Please see the City of Calgary Archives Policies and Procedures Manual for further infomation regarding access to records. An inventory and file lists are available.